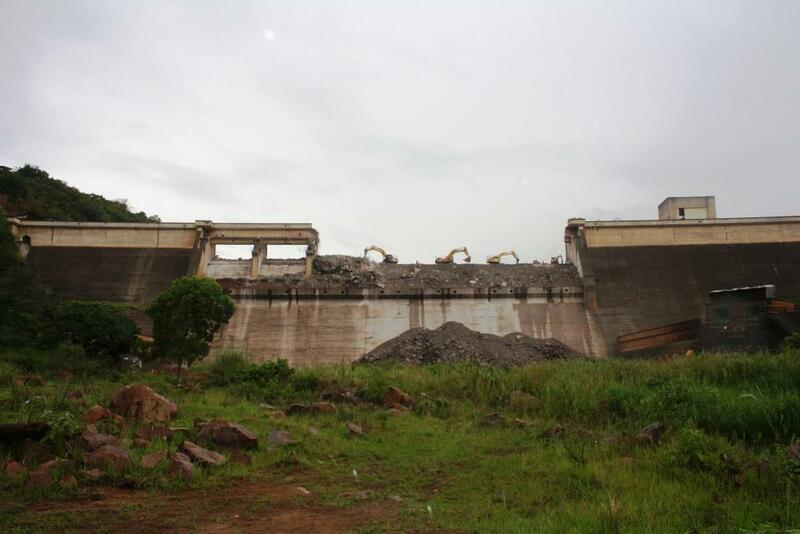 REHABILITATION OF DAM WALLS USUALLY REQUIRES DEMOLITION OF REDUNDANT PORTIONS OF MONOLITHIC BLOCKS. 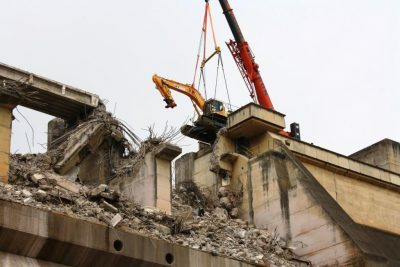 JUDICIOUS SELECTION OF DEMOLITION METHODS AND THEIR APPLICATION TECHNIQUES ARE VITAL TO A CONTROLLED AND PRODUCTIVE PROJECT. 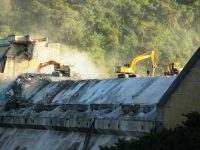 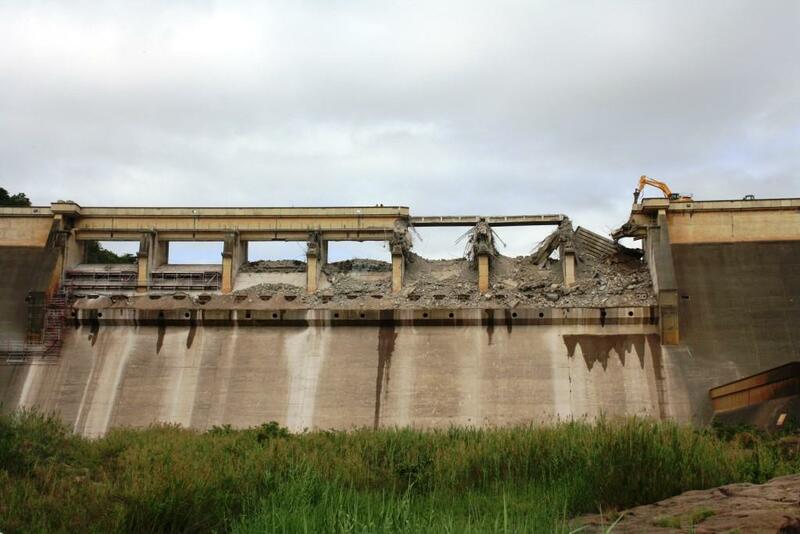 Through years of applied demolition research, Jet Demolition is able to offer an integrated approach to dam rehabilitation. Hybrid solutions are developed to suit specific, on-site conditions, whilst protecting the structural integrity of the remaining concrete. Various drilling and coring methods are applied to generate blastholes of pre-determined depths, diameters and alignments, in strict accordance with our in-house blast-design, where the nature of the works to be undertaken warrants controlled blasting of spillways and structural elements. 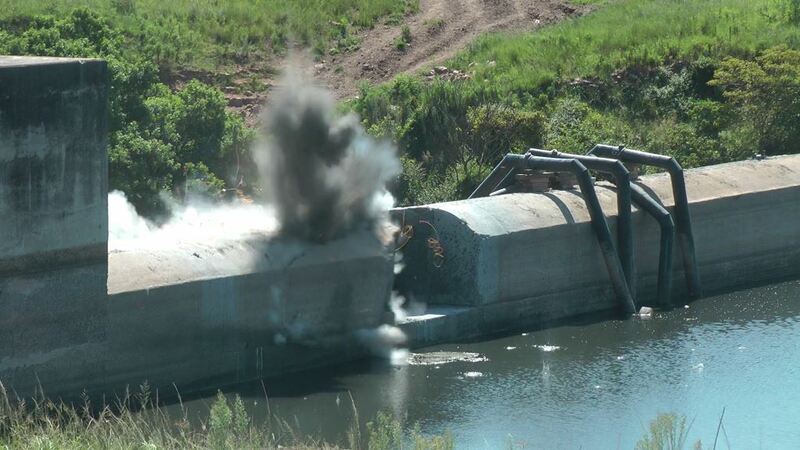 Detonation causes both shock wave and gas penetration energy transfer to concrete structures. 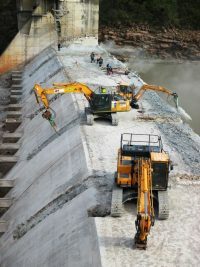 It is thus critical to ensure physical separation of the elements combined with careful and considered selection of blasting applications, to ensure reliable and predictable results, without residual damage to the remaining concrete. 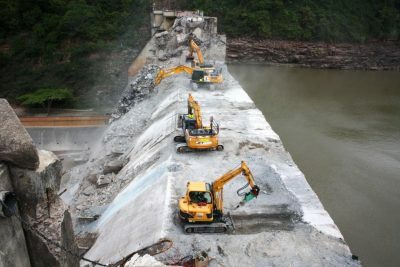 Jet Demolition offers Micro-Blasting techniques, specifically developed for dam-wall applications. 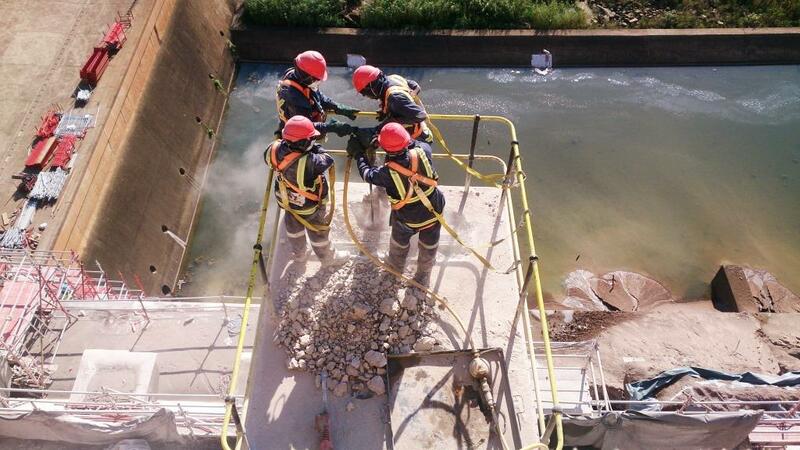 Blasting may not be appropriate in every instance. 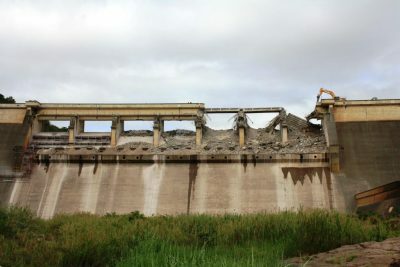 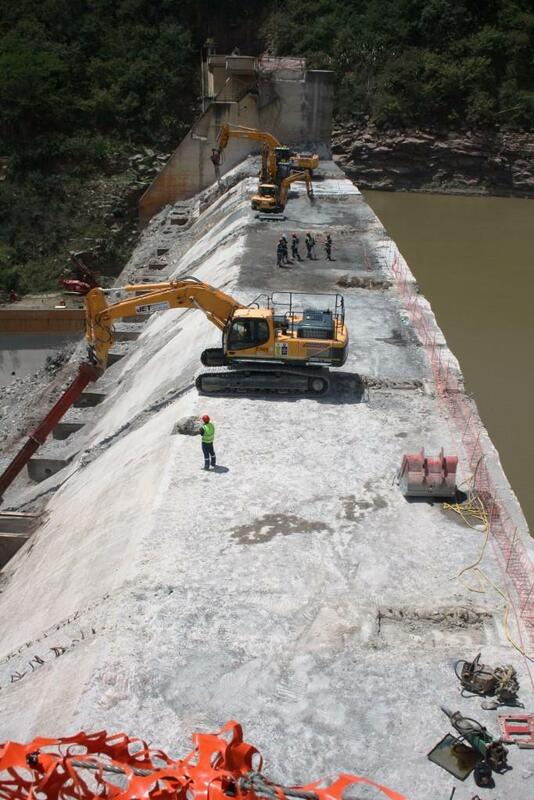 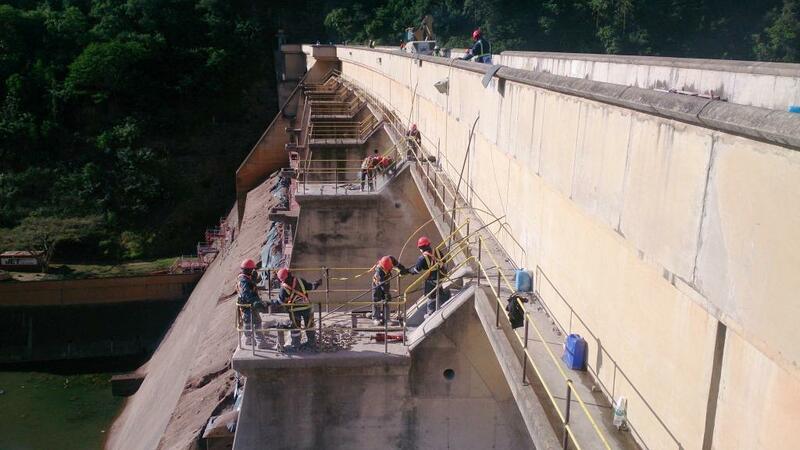 Jet Demolition has successfully completed numerous dam wall demolition projects, both by explosive and mechanical means. Mechanical Breaking using specialised demolition tools.